Palm and their webOS were expected to be the next big thing in smartphones, but unfortunately the company ran out of money before it managed to make an impact. However now that they have the backing of HP there is every chance that the excellent OS will get the chance to prove its worth in the tablet world. 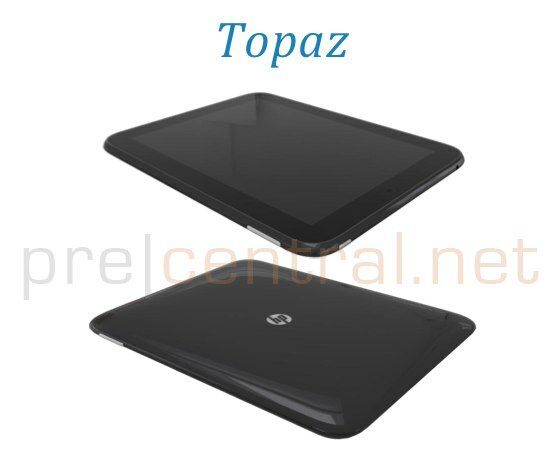 Some photos of the upcoming HP Topaz tablet leaked, along with the detailed specs sheet and it all looks pretty promising. 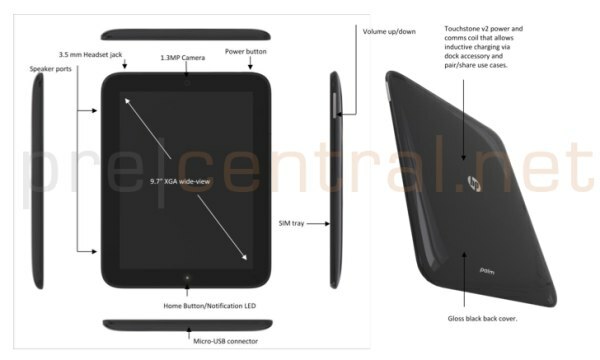 Built around the Qualcomm MSM8660 Snapdragon platform, featuring two Scorpion cores running at 1.2 GHz and the new Adreno 220 GPU, the Topaz will have all the computing power it needs to run webOS on the 9.7” XGA (1024 x 768 pixels) screen. The available RAM will be 512MB, while the storage options will include 16, 32 and 64GB. Dual-band (that means 5GHz support too) Wi-Fi b/g/n and Bluetooth will come on every HP Topaz, while 3G+HSPA and LTE radios will come as an option. A front-facing 1.3MP camera will allow video chatting with the 700 g weighing device, while the built-in accelerometer and gyroscope should enhance gaming capabilities. The HP Topaz will have two integrated speakers plus a 3.5mm audio jack. Its dual 3150 mAh batteries should keep it going for over 8 hours. Oh and by the way, full Flash support is said to be high on the developers’ priority list so the Topaz will most likely feature it. The Topaz should be announced pretty soon, though the source doesn’t give us a specific date.